There are few things more enjoyable than opening up windows or doors on a cool day and allowing the beautiful breeze to blow through your home, naturally cooling it with fresh air. For some homeowners that do not have screens on their windows or doors, it is a luxury that is not able to be enjoyed because if they open windows or doors bugs, birds, leaves, and other unwanted outside elements may make their way inside. When it comes to doors there are two primary options for screens – sliding and retractable. Most people are familiar with sliding doors as they are fairly common on most modern homes. 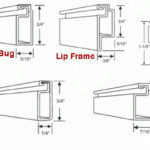 They are installed on the exterior of the home where door openings are. 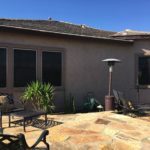 They typically cover one side of double sliding glass doors and can be slid over when a door is open to help protect the home while still allowing fresh air inside. They offer many benefits such as lower utility bills because you will not need to use your air conditioning as often as well as increasing the comfort of your home for you, your family and your guests. When installed correctly, sliding screen doors do not detract from the beauty of a home but give it a finished look while providing many benefits and additional protection for windows. 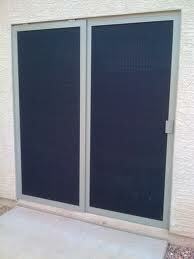 People may be slightly less familiar with retractable screen doors but they are a great option for homeowners as well. Retractable doors have insect protecting fabric in housing that is installed on either side of a double door or on one side of a door. When not in use, it stays in the housing and allows for maximum visibility that is unobstructed by fabric. When you need a added protection from outside insects and critters, you simply pull it out of the housing, essentially offering the best of both worlds. When not in use, the door easily retracts back into the housing but when in use, provides the same benefits of a traditional sliding insect door. Because they are retractable doors, they are less susceptible to damage from the elements (such as sun, dirt, debris and more) and can last an incredibly long time. When expertly installed they provide benefits without detracting from the beauty of a home or a beautiful view. Whether you love the idea of a sliding or a retractable screen door, one thing is certain, all homes need some form of insect protection so that they can open things up and enjoy a breeze when they want. When you own a home you should be able to fully enjoy all the benefits of your home and the beauty of your climate by being able to open doors for a nice, natural breeze. Sliding and retractable screen doors give you the luxury of allowing the outside air in, without allowing other outside critters or elements in, protecting you while enhancing your experience as a homeowner.